i’m sure most of you are well aware that i went off the radar for a while as i had to deal with some personal and family matters. well i’m back and already started scheduling posts again and catching up and answering emails. i wanted to take the time to thank you all for your patience and understanding while i went through this time. thank you to those especially who have reached out on a personal level to make sure i was ok.
growing up is hard enough, but throw in losing loved ones, had a major toll on my family and i. this included my mum, my sister and i getting a major stomach virus (which i’m still currently recovering from). i’m sure we easily succumbed to it because of all the stress we were dealing with. each day gets better and better and it has become part of daily life and we’ve just learned to accept. we still miss him a lot. it’s still surreal. but baby steps. but i digress. just wanted to let you all know that i’m back and posts will be back to normal tomorrow including confetti throw fridays! excited for all the upcoming posts and happy to be back. p.s. 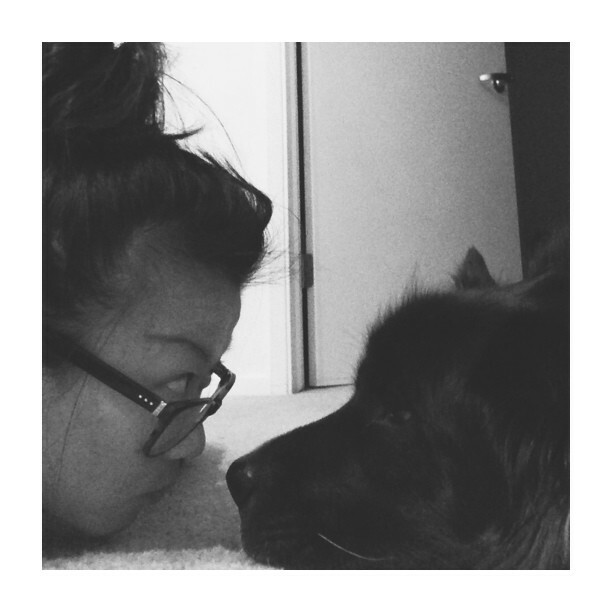 that’s cleo (his and my sister’s dog) and i having a stare down.